Miami. For a long time the name held images of sandy beaches, dancing and shining lights in my mind. It was less of a place and more of a feeling. But if my recent visit showed me one thing, it’s that Miami is very real and there’s a lot more to it than just parties. 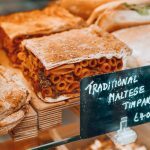 Culture, food, adventure – you name it, the place has got it. 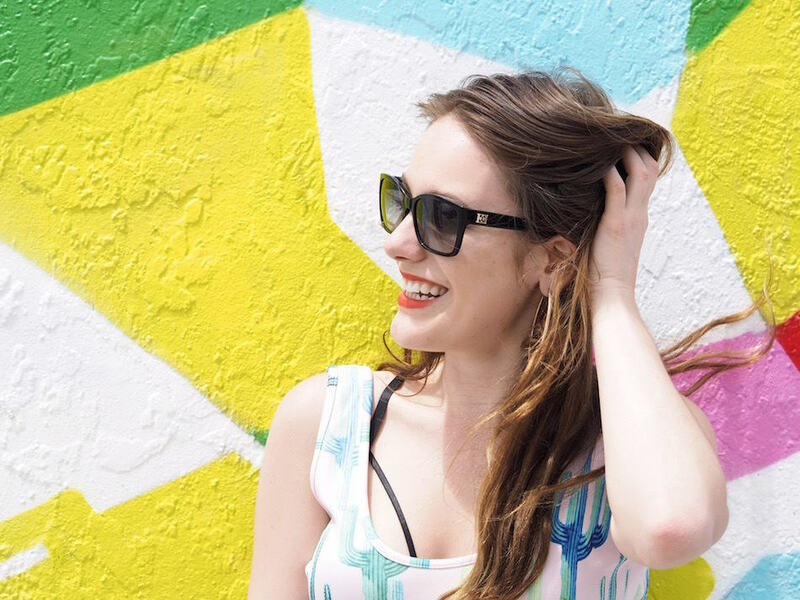 There are so many fun things to do in Miami that I’ve decided to make it the focus of another one of my handy girl guides. If you want to know where to go, eat or sleep I’ve got your back! I don’t want to overwhelm you with a crazy amount of activities, but I also don’t want to hold back. After being trapped in my new flat in Scotland with piles of unopened moving boxes calling my name, I really needed a jam-packed itinerary. In less than a week I got to sample a huge variety of things to do in Miami, but don’t feel like you have to do them all. Go through the list and see what feels the most you. 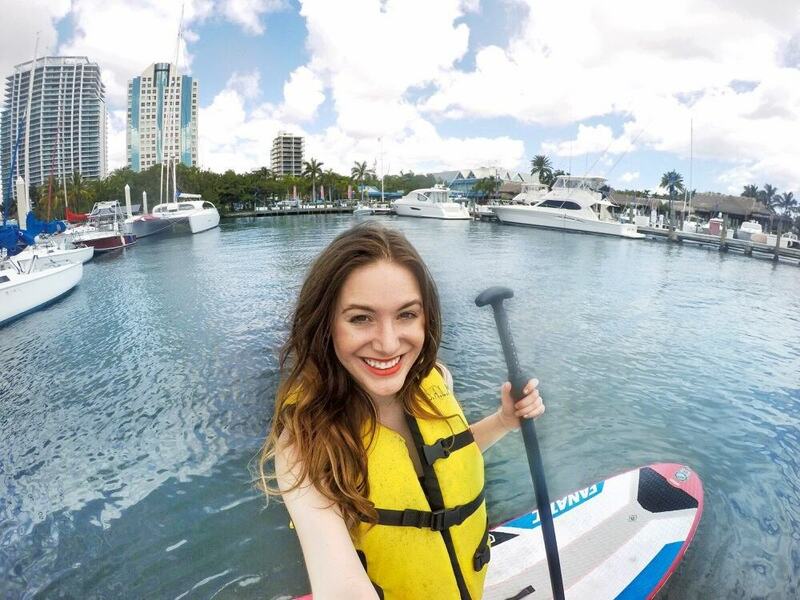 Miami’s Biscayne Bay in Coconut Grove is the perfect place to try your hand (and legs!) at standup paddle boarding. As a total beginner I was a little worried about falling in and getting my hair camera wet *drama queen* but the staff at Shake-A-Leg put me at ease. I normally just talk about experiences, not companies – but I need to make an exception here. Shake-A-Leg Miami is a not-for-profit organisation working with children (as well as adults) with physical, developmental and economic challenges. They organise summer camps for these little campers who then spend their days on the island swimming, kayaking or even sailing. Children with autism, physical disabilities or simply those from lower socioeconomic backgrounds can all come together, learn and have fun. I would highly recommend heading to Biscayne Bay and checking them out – you can have a wonderful day out on the water whilst contributing to this life-changing project! Alright, mermaid. Let’s get you onto dry land. If you’re on Instagram there’s a 99.9% chance you’ve heard of Wynwood, or at least unwittingly liked about 475 pictures from there. This is the place to go if you like street art or simply just colour. Wynwood Walls is a open-air gallery full of incredibly detailed and intricate curated street art. And yes, the Wynwood Kitchen & Bar inside has absolutely delicious food. But if you’d like to get a slightly different experience look up Miami’s Best Graffiti Guide. Their walking or bike Wynwood tours are run by Ryan the Wheelbarrow and Pedro Amos, two graffiti artists who watched the area develop over the years. 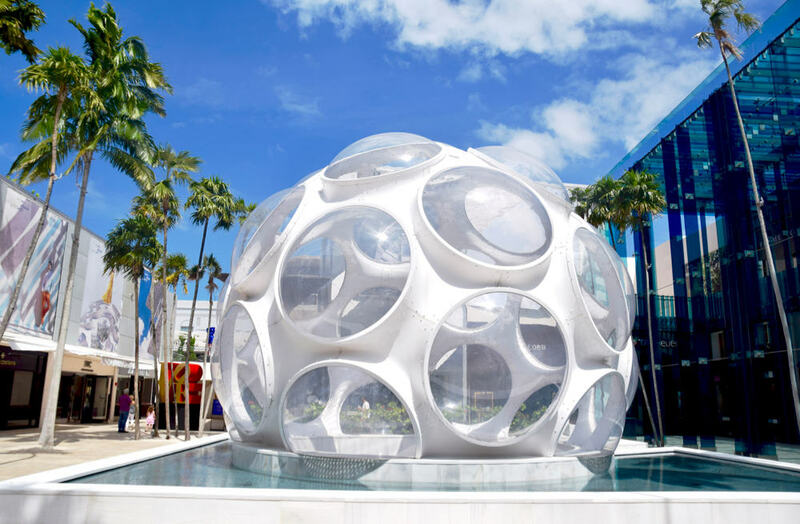 And while we’re on the subject of art, the Perez Art Museum in Downtown Miami holds exciting contemporary art exhibitions and overlooks an oceanside avenue lined by towering palm trees. Oh, the palm trees. Miami is full of them! But the fairest of them all live at the Fairchild Botanic Garden, an 83-acre tropical heaven in classy Coral Gables. Part popular tourist attraction, part conservation and research project, the botanic gardens are well worth a visit. They’re so beautiful that many couples choose to get married there, from the employees to visitors from the other side of the planet. 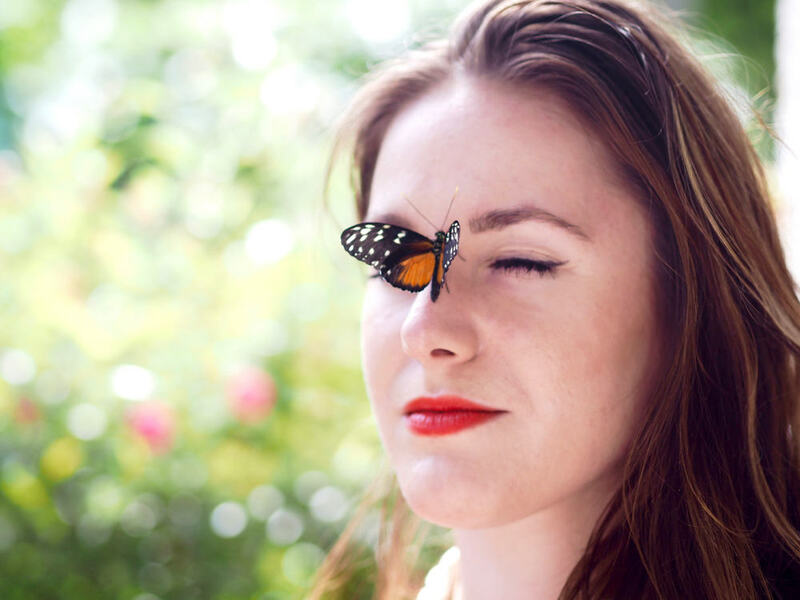 My favourite was the butterfly greenhouse – and as you can see they were pretty fond of me too! Finally, if you’d like to live like the rich and famous – or if you already do (hi Britney, I always knew you were a Girl vs Globe fan!) 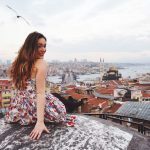 – I’ve got two special tips for you. 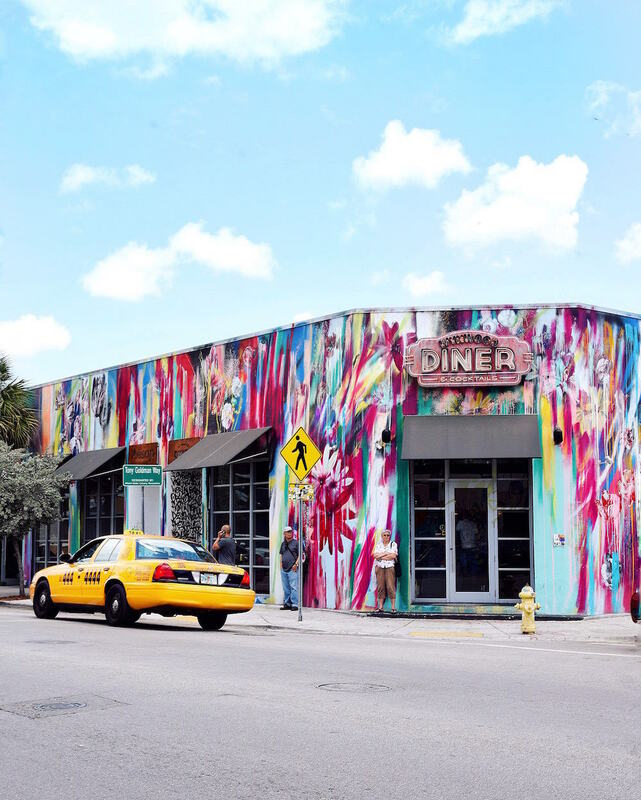 The first is the Miami Design District where you can shop in the world’s most exclusive boutiques and admire some stunning art pieces. Go get your Dior on… or just window shop like me and save your money for more food. My second tip is a boat tour with Ocean Force Adventures. What’s so special about this particular tour? The boat is a Zodiac RIB ride – as in the same boats used by the FBI. During the 2-hour tour you’ll get to visit iconic Miami sights like Stiltsville or the Biscayne National Park but the highlight for me was peeking inside the celebrity mansions of Star Island. We saw the mansion where Scarface was filmed. 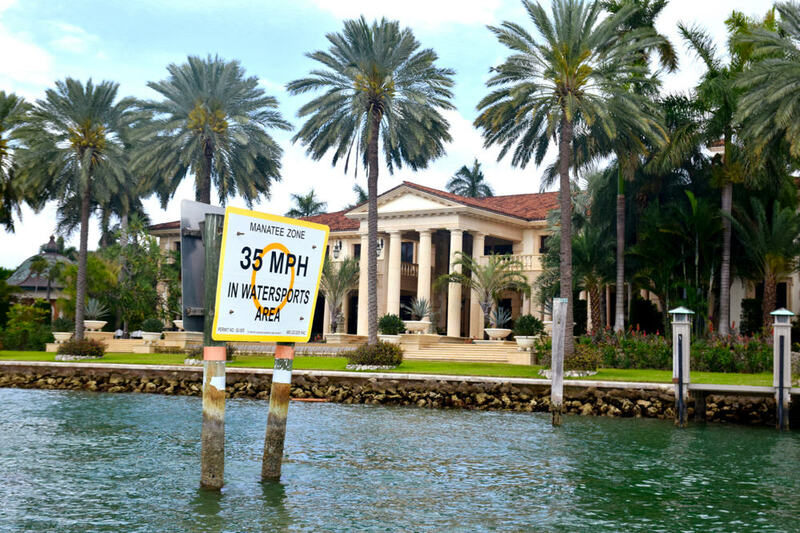 We saw Gloria Estefan’s house. We saw a home that was used as a shoot location for both Miami Vice and CSI Miami. If you’re a regular Girl vs Globe reader you may know that one of my guilty pleasures is a Bravo TV show franchise called The Real Housewives. Well, one of the houses also belonged to one of the Miami housewives. It was absolutely glorious and, yes, it did set slightly unreasonable standards for my dream house which I should now be able to afford in about 250 years. There are tonnes of wonderful options when it comes to beaches. 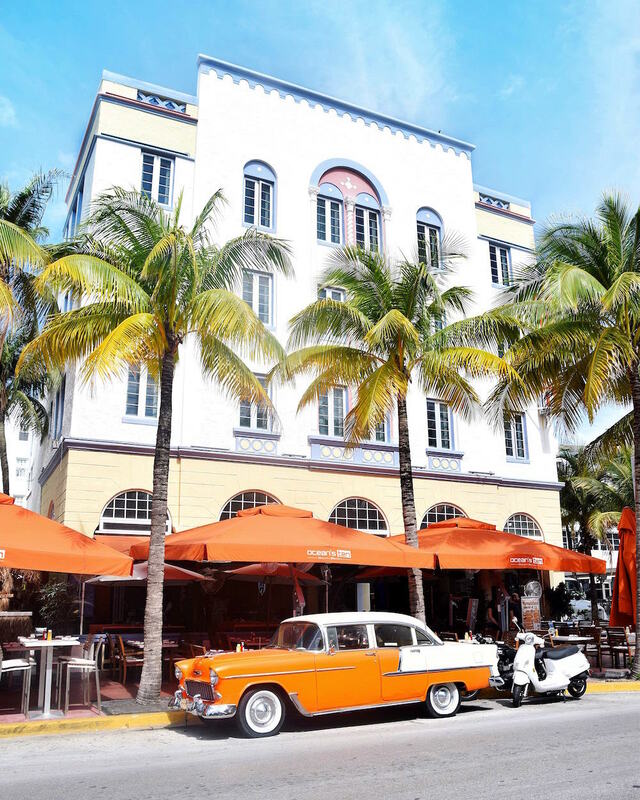 South Beach is the most famous, not just for its sandy shores but also the whimsical architecture along Ocean Drive. There’s a great Art Deco Walking Tour which will give you a glimpse at area’s past – from gang wars to Versace’s murder it’s far from a boring history lesson. But lively South Beach is not your only option. Hobie Beach is perfect for windsurfers, Haulover Beach for dog lovers (and nudists!) and Bal Harbour Beach is surrounded by luxury hotels and boutiques. If you’re seeking someplace LGBT-friendly, check out South Beach’s 12th Street Beach which is marked by two big rainbow flags. And if you’re travelling with children, there are several wonderful options as well… Miami’s northernmost beach is Sunny Isles Beach is great for snorkeling and diving. Oleta River State Park Beach offers water sports like canoeing, kayaking and even biking trails. Lastly, Matheson Hammock Park Beach in Coral Gables has calm waters, picnic tables and tall palm trees. There’s a popular restaurant in the marina called Red Fish Grill, which is supposedly a great place to have dinner if you make a reservation. Miami is renowned for its nightlife, so I figured it was only fair to include a little going out section in this guide. Honestly – regardless of where you go you’d struggle to have a bad night in Miami. But with so much on offer, here are my three top tips. If you want to have a few mojitos and listen to some Latino beats, go to Ball + Chain in Little Havana. The venue was originally opened in 1935 and hosted legendary performers like Billie Holiday or Count Basie. Don’t go on a Monday, as that’s the only day without live music. If you want to turn things up a notch but are looking for something low-key, go to Bodega. 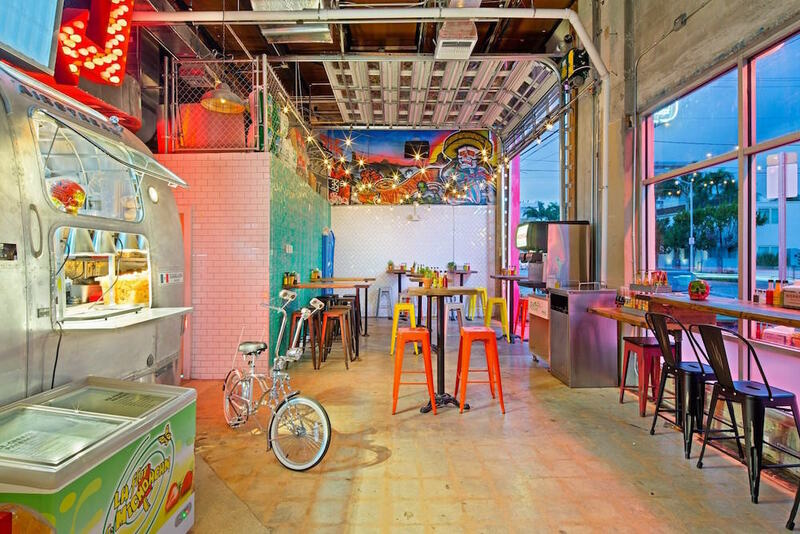 Trust me, you’ll have fun – the entrance of the place is a taco joint for Miami’s sake! Once you enter the unassuming taqueria, look for the blue portapotty door. Trust me. Soon you’ll find yourself in the secret speakeasy that lies on the other side. The tacos are cheap, the margaritas strong and the music old school… I’m all about it. If you’re looking for a big club with lots of floors and world-renowned DJs, then LIV is the answer. The drinks costs about a bajillion dollars but there are lots of promoters who are eager to invite girls to sit at their table. Sleazy? I think so. 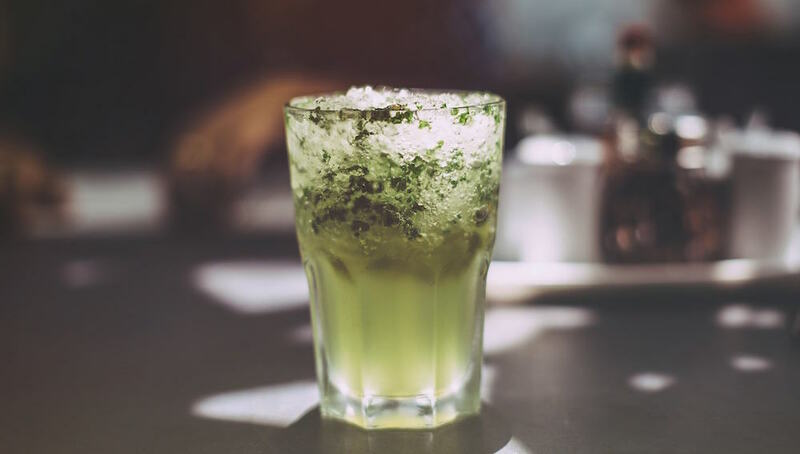 But if you’re being cautious and are with a group of friends it could make for a very fun night and a cheaper alternative to footing the hefty bill yourself. If that’s not your jam, at least make sure you call ahead to get your name on a guest list so you’re not stuck standing in line. I never would have thought of Miami as a culinary destination prior to my visit… but now food is the first thing that comes to mind when I think of it. Ok, you got me. I’m always thinking about food. But seriously – fresh seafood and crisp vegetables, this was not what I had expected from a trip to the US. The food in Miami was not just a pleasant surprise, it was a revelation. For a healthy lunch, try the Peacock Garden Cafe. In 1870 the Peacock family was looking for the perfect spot to settle down and they settled in what is now the village of Coconut Grove – the oldest part of Miami. The cafe now boasts a tropical garden as vibrant as its history, and a menu so delicious that I’m already plotting my return. 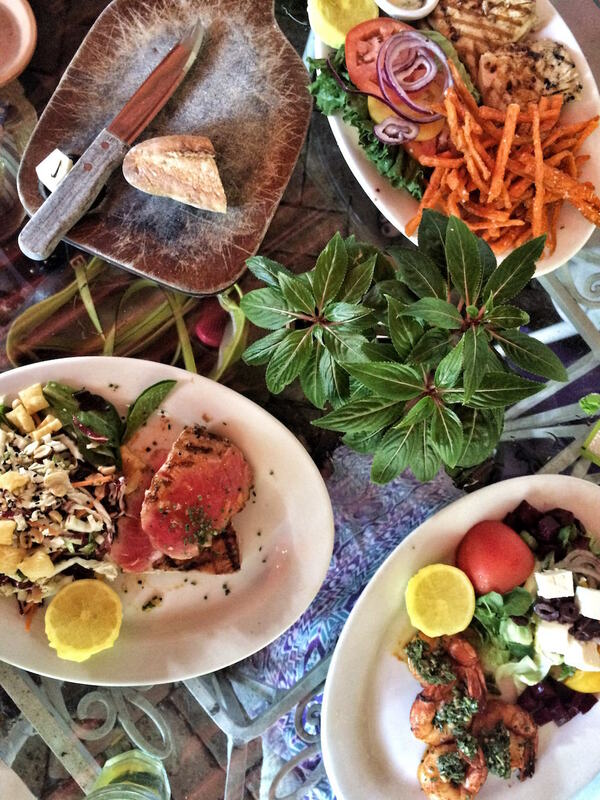 I had the grilled yellow fin tuna with a Chinese salad which I’d highly recommend, but you have many other options including organic chicken, skirt steak or Atlantic salmon and a variety of fresh veggies. It turns out we were very lucky. Securing a reservation at Komodo is not easy. But if you manage, you’ll find yourself sitting in a dimly lit jungle treehouse only a few metres away from a busy main road, wondering when life got so good. It’s pricy but there’s also a high chance you’ll run into a celeb like Kim Kardashian or Selena Gomez, whom I sadly missed by a week. I mean… she missed me by a week. 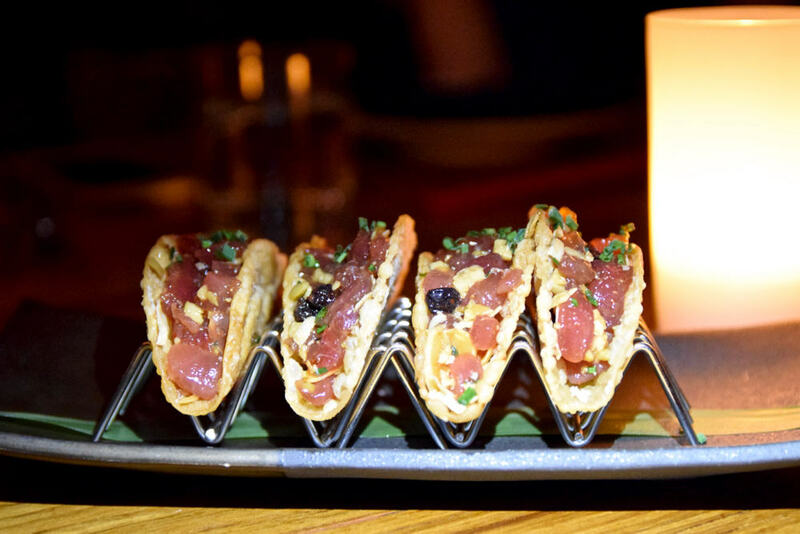 Make sure you try the tuna tacos, the 13 grilled vegetable salad and at least one of their handcrafted cocktails. 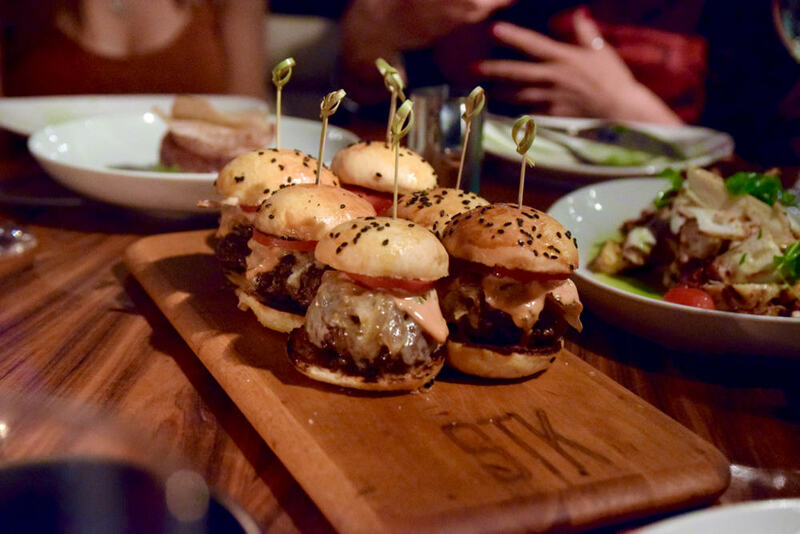 If you’re feeling hungry and are not a vegetarian, STK Miami is the place to be. It’s supposedly hailed as one of the sexiest modern steakhouses to hit the shores of Miami Beach and I completely agree. The music is loud, the food is delicious and the clientele is trendy AF. I wouldn’t recommend this for a romantic dinner (unless your date is extremely boring but easy on the eyes), but this would be the perfect restaurant to visit before going out. 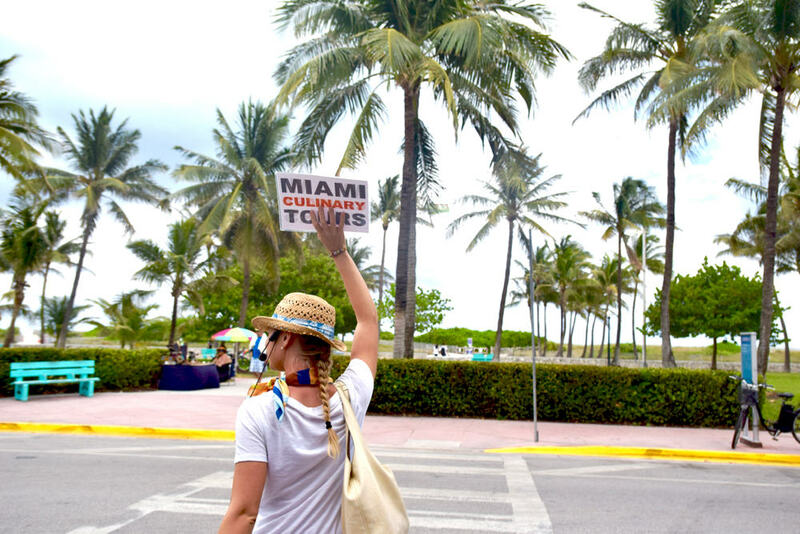 And if you’re feeling indecisive or just want to try everything, check out Miami Culinary Tours. I did their South Beach Food Tour but they also run one in Little Havana. Our guide was a vivacious Russian who moved to Miami to be with her now-husband. Like many people in the city he’s Hispanic and with his help Svetlana found the best Latino eats to introduce us to. We tried everything from churros, ice cream and empanadas to minced beef at Gloria Estefan’s restaurant on Ocean Drive. I couldn’t move afterwards, but that would hardly deter me from doing it again. Miami Beach is what most people think of when they hear the city’s name, and most travellers choose to be in the midst of all the action. The National Hotel (from £121/night in low season) with its long infinity pool, Art Deco decor and direct beach access seemed like the total package to me… and that was before I found out that there was a nightly cabaret with singing waiters. I stayed in one of the deluxe rooms in the Cabana Wing which I’d highly recommend. Each room has a private terrace overlooking the pool and elegant Asian-inspired decorations. But there is a lot more to Miami than beaches and parties (although no one could blame you for focusing on those). Coral Gables is a very elegant area of the city, full of gorgeous villas and greenery. Befitting of this area’s prestige, The Biltmore (from £148/night in low season) is one of the classiest hotels I’ve ever stayed at. 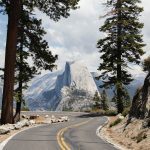 It’s not just me – past guests include kings, presidents and Hollywood celebs. The Biltmore boasts the largest hotel swimming pool in the continental United States, lined by Roman statues and palm trees. It also has an 18-hole championship golf course, ten tennis courts and a private wine cellar club… because of course it does. 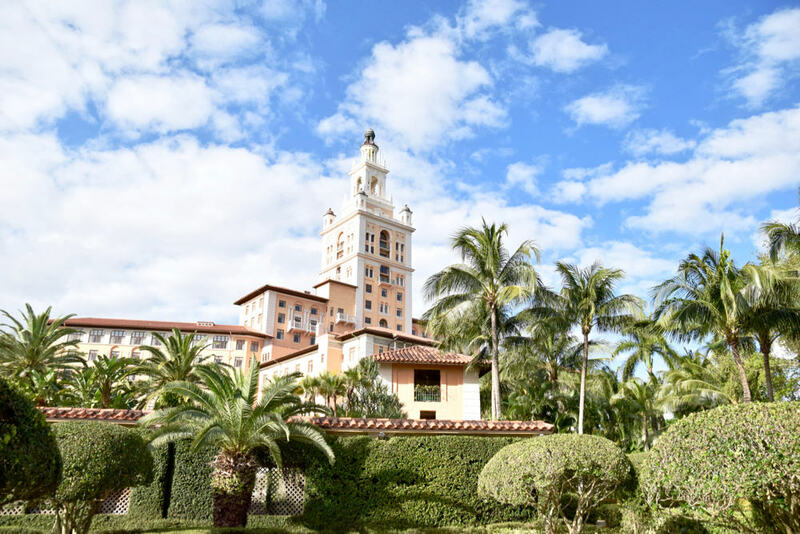 If you’re willing to splurge I would highly recommend staying at The Biltmore – everything about it is luxurious and staying there will make you feel like you’re worth a million bucks. Miami has a pretty good public transportation system, which consists of three elements. The first is the Metrobus – a bus system which runs from South Beach to downtown Miami, and even further up to Ventura where you can catch a bus connecting to Fort Lauderdale. The Metrorail is a train system running from Kendall in the south through downtown up to northwest Miami. This is particularly useful if you’re wanting to visit Coral Gables in the south of Miami (which you totally should). Finally, the Metromover is a bus-like vehicle that runs on tracks – similar to the trains in Divergent but much less terrifying. It’s a wonderful way of getting around downtown. You could also hire a bike from Citi Bike Miami, the solar-powered bike stations are dotted around the city and available 24 hours a day. And if none of those appeal just hire a car – make it a big 4×4 if you want to blend in with the locals of South Beach. 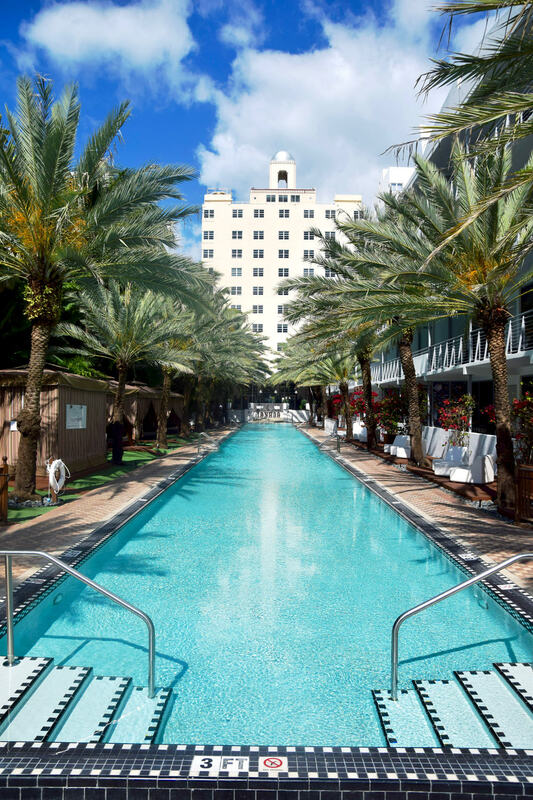 What do you think of my girl guide and these top things to do in Miami? Have you ever been and do you have any other suggestions? Let me know in the comments below! I was a guest of the Greater Miami Convention and Visitors Bureau, which has lots of useful information on places to stay and things to do in Miami. For more information, visit miamiandbeaches.com. I was a guest of Thomas Cook Airlines, flying direct from Manchester Airport. Flights from Manchester to Miami start from £379.98 in economy and £619.98 in premium economy. Prices are subject to availability and valid for travel between May and June 2016. For further details and to book, visit thomascookairlines.com. Great and informative post!! Beautiful photos!! Thanks for this guide, really useful. I’m heading to Miami later this year for a wedding, can’t wait! 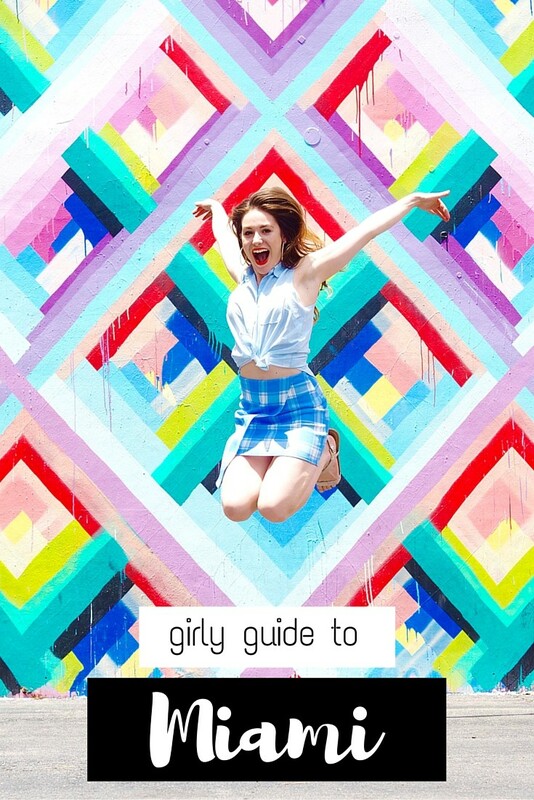 Love this guide Sabina! I visited Miami a year ago and loved it! It really surprised me. I ADORE that first photo of you – it’s gold!! I love love love Miami – I’ve been a few times and your post is making me want to go straight back : the art deco, the beach, the colours. I did the Little Havana food tour and it was fantastic, one of my favourite bits. I need to do the Little Havana tour next time I’m there, that’s for sure 🙂 And you’re right – Miami is so beautiful and I want to go back asap! Thank you for joining Miami Culinary Tours! We love all your photos of Miami!